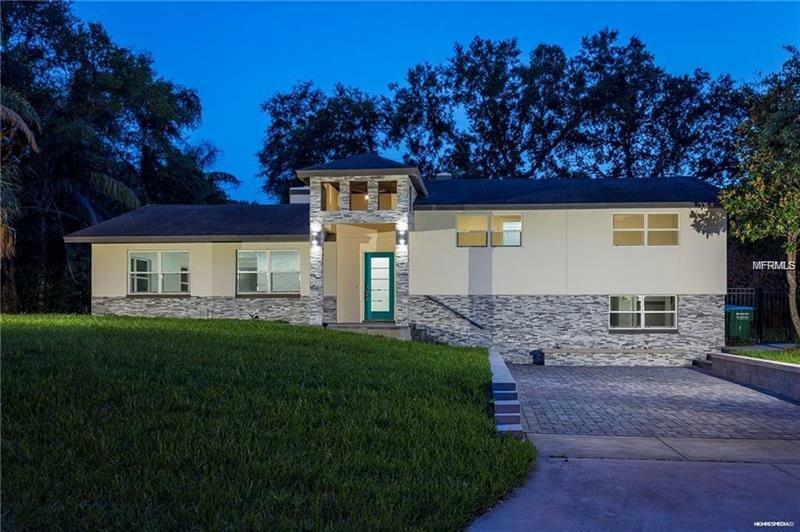 This Newly Renovated Winter Park home is Complete and Move-In Ready! Just steps from Lake Berry this 4 bedroom 3 full bath home boasts over 3000 square feet. The transitional modern home has been thoughtfully updated for today's lifestyle. The remodel included new windows new doors LED Lighting new Lennox A/Cs new insulation as well as a completely new kitchen with a waterfall quartz countertop. The contemporary stainless steel Viking and Fisher & Paykel appliances add further sophistication to the home. Banked sliding glass doors in the expansive family room pocket into the walls to create an entertaining oasis. Leading out you will notice that the pool was recently resurfaced with an alluring dark Pebble Tec interior. Natural stone pool deck further enhances this outdoor retreat as well as the newly built tongue and groove wood ceiling covered lanai. The spacious master bedroom features copious amounts of natural light as well as two separate closets. The new master bath has a mitered glass shower with a corner jetted tub. An additional room up features yet another newly installed bath with designer tile and water closet. As you venture to the ground floor you will find a large bonus room that could be a retreat for games or a theater. This space could also double as an office. Two more bedrooms down are quite a bonus to this split level plan. A full bath on the ground level completes the newly updated space. This modern home is a must see. Make your appointment Today!